So many amazing activities are now available for our children this summertime—this is truly a season for us to enable our children to discover themselves. Are they interested in a particular sport? Would they like to enhance their writing skills? Or perhaps, maybe join the theater?! Trumpets Playshop has various workshops for kids and teenagers alike, and classes start this week! Make sure to check them all out here and enroll, enroll, enroll for an amazing and productive summer season! 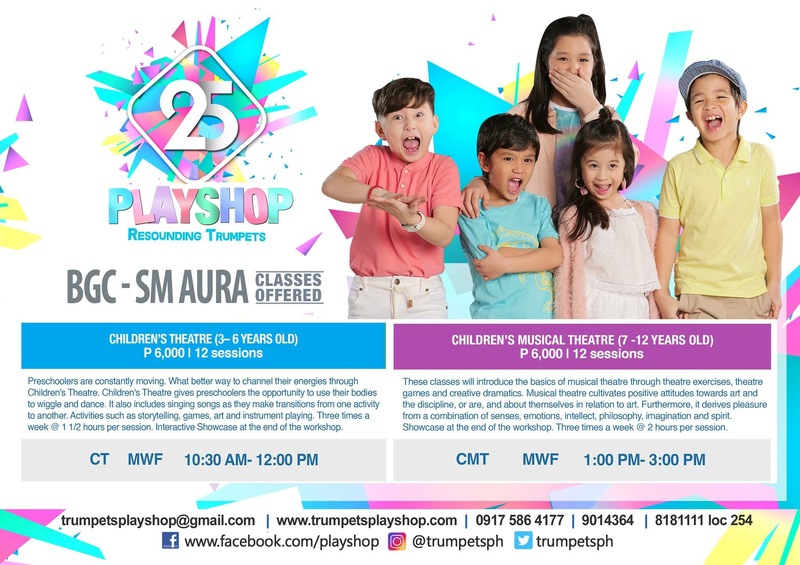 Trumpets Playshop was born as a product of Trumpets Inc, the Philippine’s first Christian Theater company, and creators of well-loved musicals such as “Joseph the Dreamer,” “The Lion, The Witch, And The Wardrobe,” “The Little Mermaid,” “First Name,” and “The Bluebird of Happiness,” to name a few. 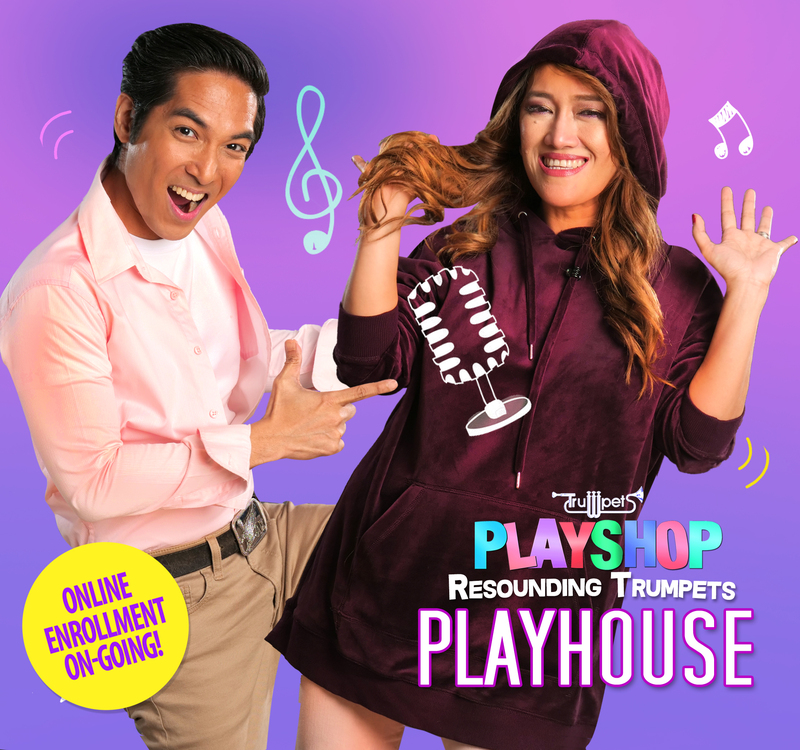 With Trumpets Inc, led by passionate and brilliant minds—Theater King, Audie Gemora, and business maverick, Butch Jimenez—Trumpets Playshop, its educational arm, was born. 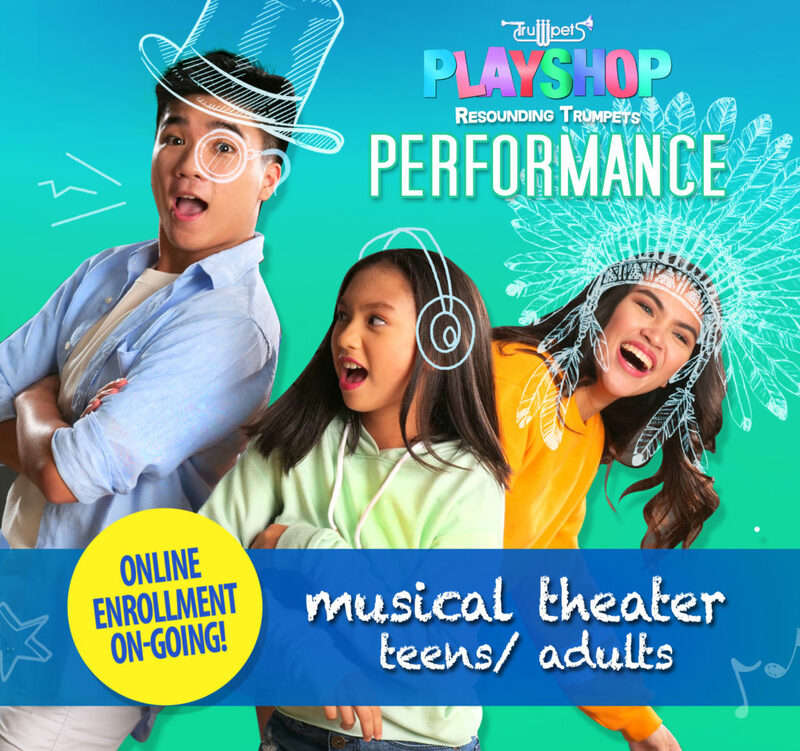 Since it’s humble beginnings in 1993, Playshop has proven to be a home that kids, teens, and grown-ups return to every summer to discover and explore their multiple talents in the performing arts such as acting, singing, dancing, hosting and modelling. And since then, it has grown and provided a wholesome, productive, and enjoyable experience for its students for more than two solid decades. 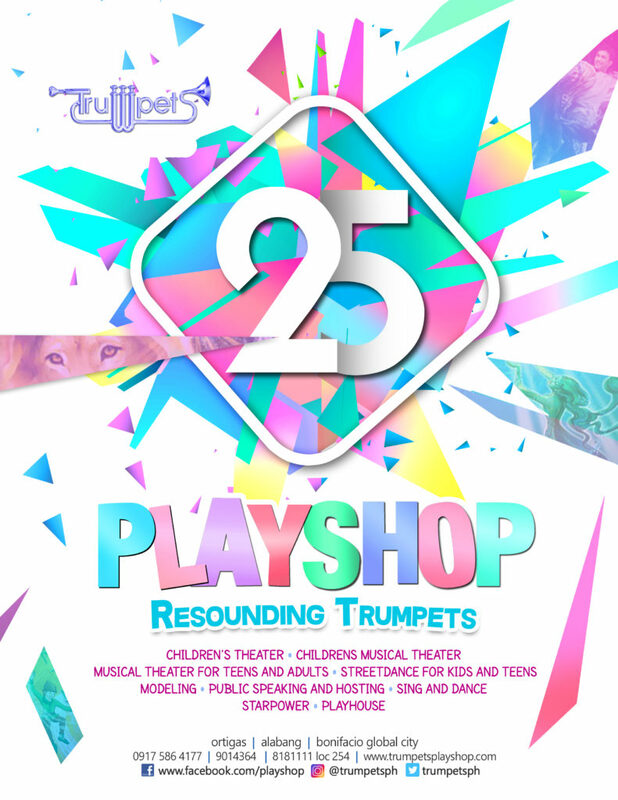 And now on it’s 25th year, Trumpets Playshop decided to come full circle as it gathers all generations of Playshoppers from its conception till present to celebrate their silver anniversary. As it celebrates 25 years of success, Trumpets Playshop aims to remind the old and educate the new of what Trumpets Playshop truly is and where it began. 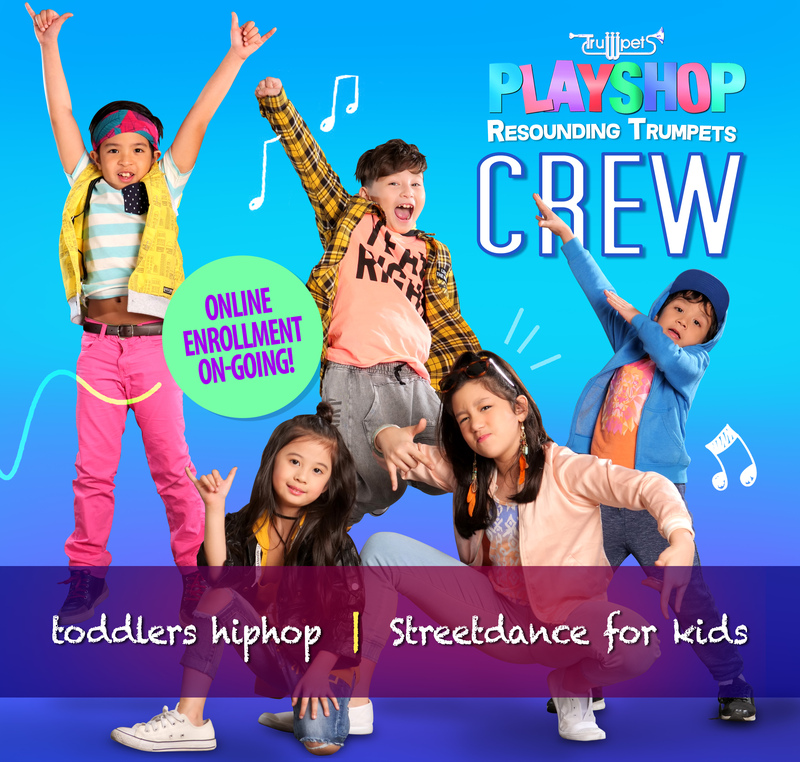 This year, Playshop will be #ResoundingTrumpets, as it breathes life back into Trumpets Inc, bringing back the old and celebrating the new with its upcoming workshops. 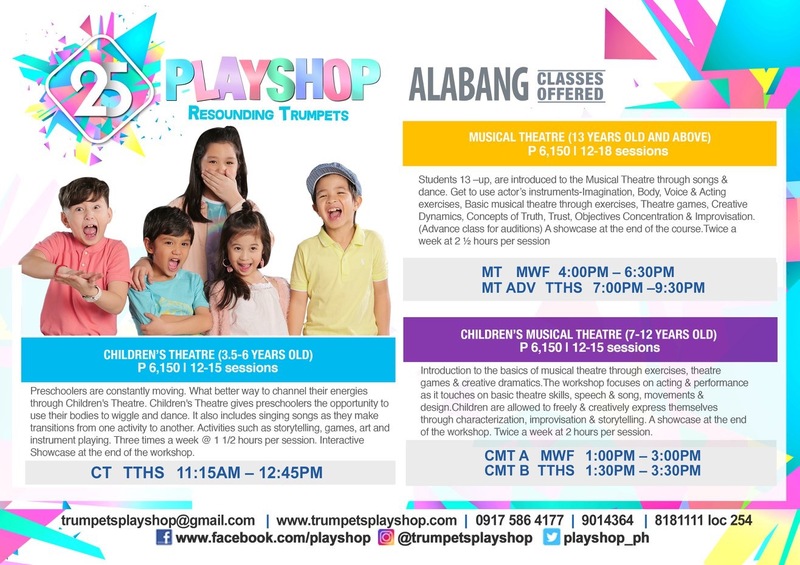 For class schedules, you may visit the Trumpets Playshop Facebook page. 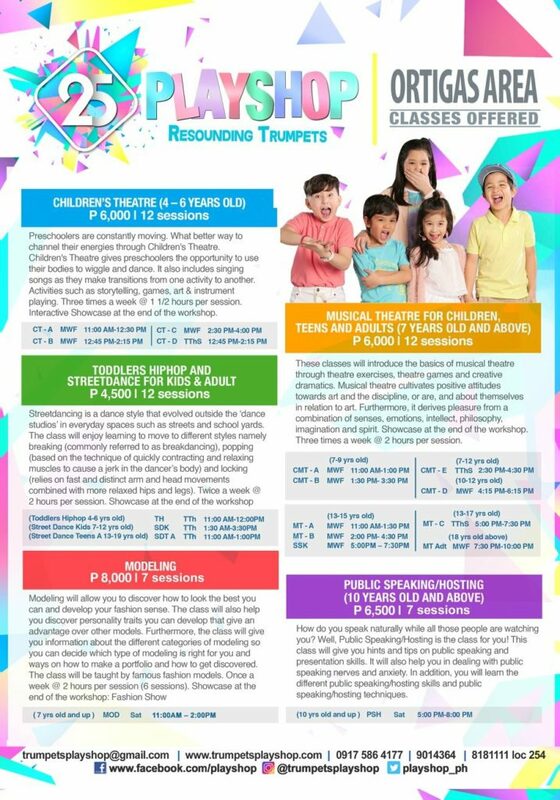 Classes begin on April 16 at The Shangrila Plaza Mall , Kidz City at SM Aura, and at the Alabang Town Center. Onsite enrollment is now available! 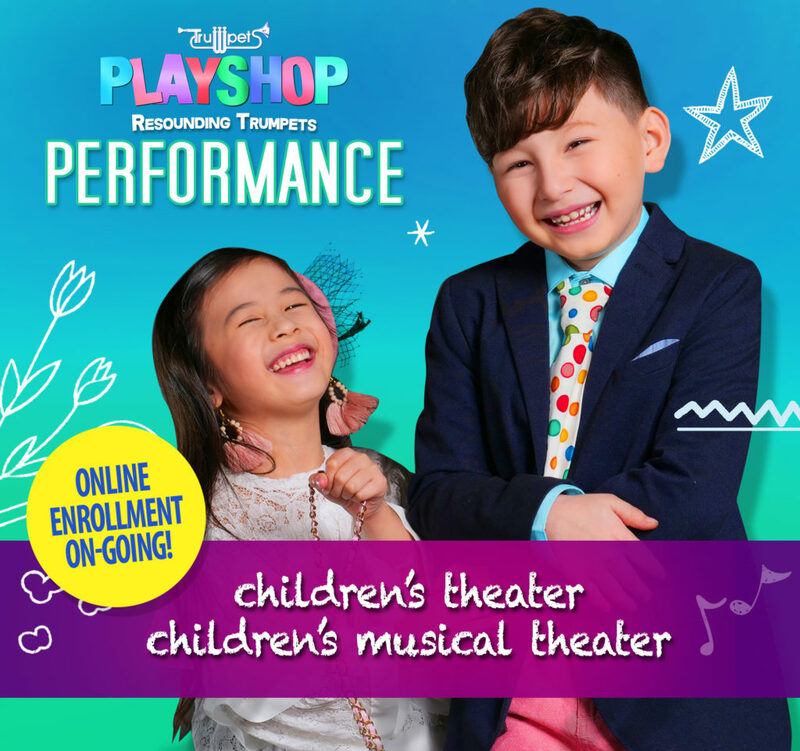 Like and follow Trumpets Playshop on Facebook, Twitter and Instagram to keep yourself updated with their very exciting promos, events, and contests for summer 2018! Call 901-4364, 818-1111 loc 254 or 0917-586- 4177.